Nice. Now the question is do they have a "For Her" Model with pink straps? 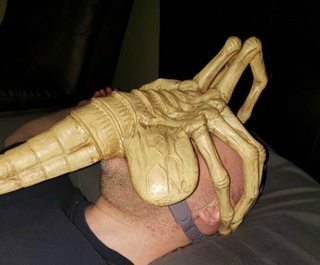 The new Alien FFM from Respironics? Heard the fitting is a killer. I think I’m going to surprise my wife. (01-25-2019, 08:22 PM)KSMatthew Wrote: Shut up and take my money! Given any thoughts what one should say at your funeral? Well....that would account for that 'full' or bloated feeling I get each morning thinking something very wrong is trying to get out. Quote: Given any thoughts what one should say at your funeral?